Camouflaged crab spider eating bee, Costa Rica. 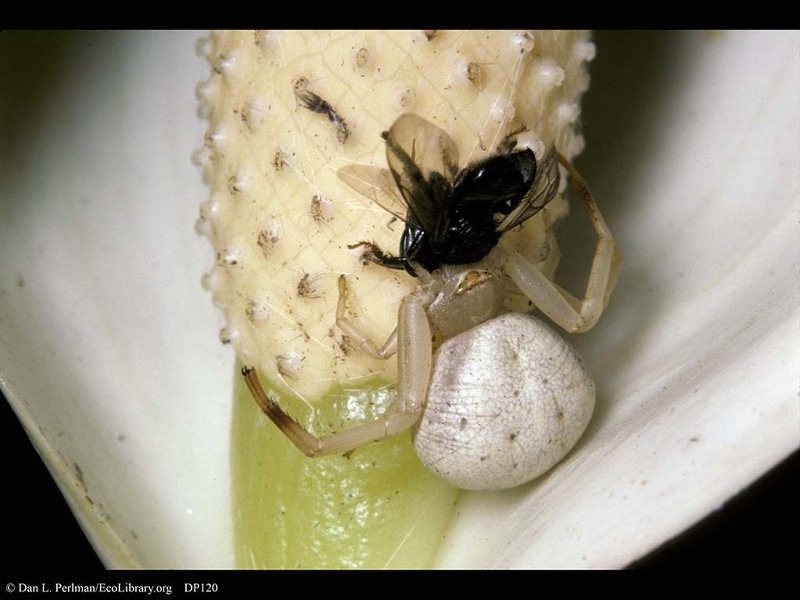 Crab spiders typically use camouflage to help capture prey, as sit-and-wait predators. Some species are able to change color over the course of days to better blend in with their background, while others choose backgrounds that match their color pattern. Clearly, this spider's camouflage was effective.